The microphone market is becoming more and more flooded with KM84 clones. And most are identical! In fact I have been able to tract down the OEM manufacturer for the most popular of these clones. Alctron makes most of the KM84 style clones on the market. In this case this article will speak to all the T01A / T02A rebrands. The T02A is the same ciecuit but offers a pad and low cut. Both can use the Alctron Omni, Cardiod, and Hypercardoid capsules. The difference between any of these is minor. The most notable difference is how the XLR screws into the PCB inside the housing. Other then that they all use the same Scheops circuit for a low noise floor. The capsules are clones of the KM84. Those two combinations are why these clones surprise a lot of people considering their price. Side note the MXL 990 and a lot of these discount rebrand Chinese LDC microphones use identical circuits as the SDC just laid out differently to fit the larger body mics. And in most cases they use the same capsules as the SDC but with a fake spacer around them so they appear bigger when you look through their grill. As you can see it is not really a 34mm capsule. It’s the same 19mm capsule from the 603/604 KM84 clone. Unscrew the lockring all the way and set it aside for later. 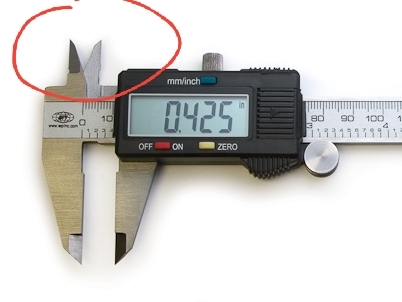 To do this you will want to use the backside of your digital calipers or use a wrist watch wrench. This is a wrist watch wrench. It is used to open the battery door on the backside of a watch. When you are done the contents of the 600701 capsule should fall out. You don’t need these parts ever again. Replace the the lockring and screw it on as tight as you can. You are now done. It should look a lot like this. I have taken an extra step and added some solder to re-enforce the center pin on the TSB-165A. This is not necessary. At first glance this looks like we swapped one Chinese capsule out for another Chinese capsule. Well yes. But here are the two frequency response charts. Very bouncy in its pickup and a huge boost in the highs which is the reason for the original capsule housing mod. Less of a boost in the highs. Also notice there is less of a drop off in super highs. Also notice the -20db off axis rejection in the mids. Now a +/-4 variant is also a sign of poor manufacturing and QC. So my advice is to purchase a few capsule and test out which one sounds the best out of your batch. At $7 a capsule purchasing three isn’t exactly breaking the bank. Plus you can use the others for other builds! I hope this was insightful. 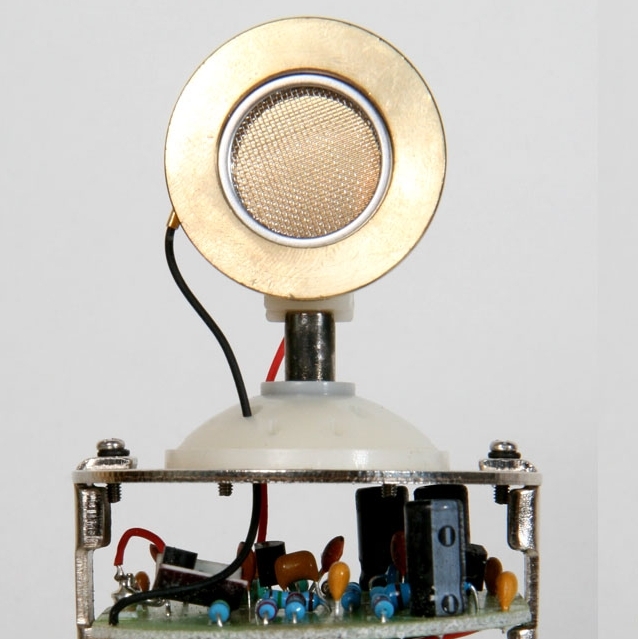 The T01A is a great mic to mod. And if you can purchase a pre-2013 mod you can mod the circuit more and upgrade the components to higher quality ones of the same values.